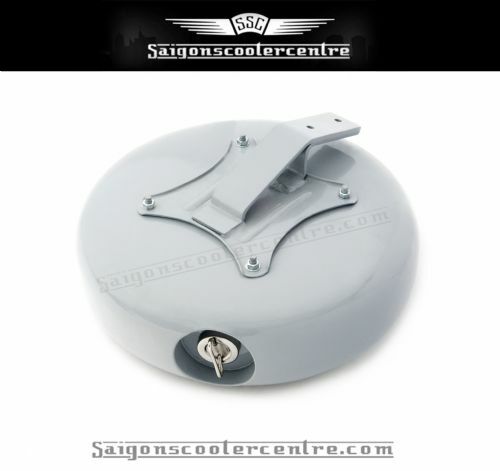 DESCRIPTION: 10 litre spare wheel style fuel tank. 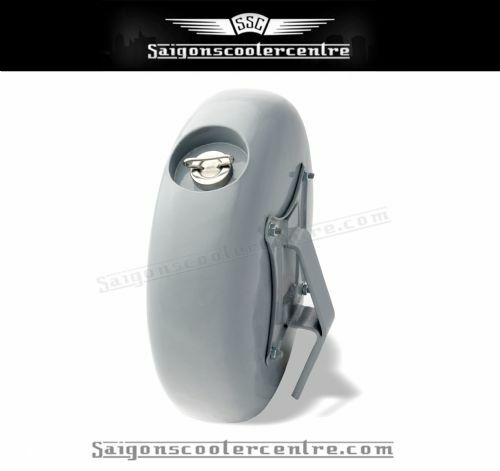 Includes original style spare wheel mount, fuel tap, fuel cap, â€œYâ€� connector, petrol pipe and black spare wheel cover. Made from mild steel and powder coated grey.